As we approach the busy Christmas season, the Thanksgiving holiday provides us an opportunity to pause, reflect and give praise to the One from whom all blessings flow. 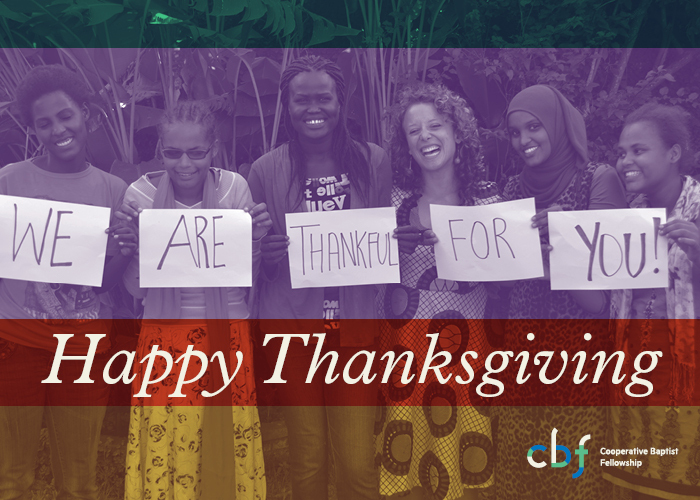 We at the Cooperative Baptist Fellowship want to take a moment to show appreciation to all Cooperative Baptists, CBF congregations and our organizational partners. Thank you for partnering with the Fellowship to renew God’s world.